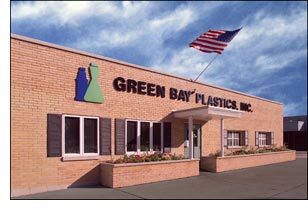 Green Bay Plastics, Inc. was first incorporated in 1957 and soon became a part of Mosinee Paper Corporation. J. Kevin Hogan joined the Company in 1963 and continued as vice president and general manager until January 1, 1989, when he and his wife, JoAnn directed the buy-out of the Company from Mosinee Paper Corporation. He served in the position of president until 1999. Other family members have been active in the company throughout the years, including Michael Hogan currently serving as president and general manager, John Hogan currently serving as vice president, secretary, and assistant general manager, Patrick Hogan currently serving as vice president and treasurer and Kathleen Hogan-Lesatz currently serving as controller. Green Bay Plastics, Inc. strives to be self-sufficient by designing and building its own tooling and machinery to provide plastic, blow-molded products for wholesale distribution. The product list includes bottles and jars for everything from food to lubricants, components for toys, and items used in industrial applications. Green Bay Plastics, Inc. provides other services, including product labeling, screen printing, painting, and special packaging.